The Best $500 Egg I Ever Ate! Jim figured this is how much Rosie’s egg cost after the coop expenses, Daisy’s vet bill, organic mail-ordered chicken feed, and truckloads of scratch and grapes. Well, it was worth it! I had three small bites and Jim had two. I cooked it in some butter, sea salt and fresh ground pepper and served it over easy. We had some champagne with our little morsel and Jim made me turn the label around so you can’t see how cheap it is. The shell was incredibly hard. I had to whack it three times on the granite countertop to crack it. 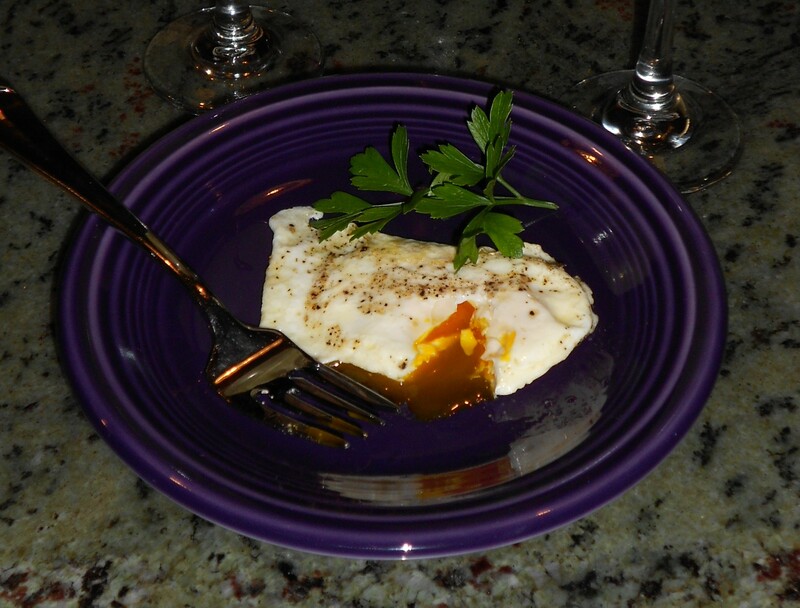 The yolk was very orange and it stood up high in the center of the egg. Jim added the parsley. He's such a girl! I promise not to take pictures of every egg we get and describe them in agonizing detail, but please indulge me for a while until the novelty wears off. These things are like little miracles to me at the moment. I probably will gush over Daisy and Violet’s first eggs as well and then maybe I’ll calm down a bit. Let’s hope. 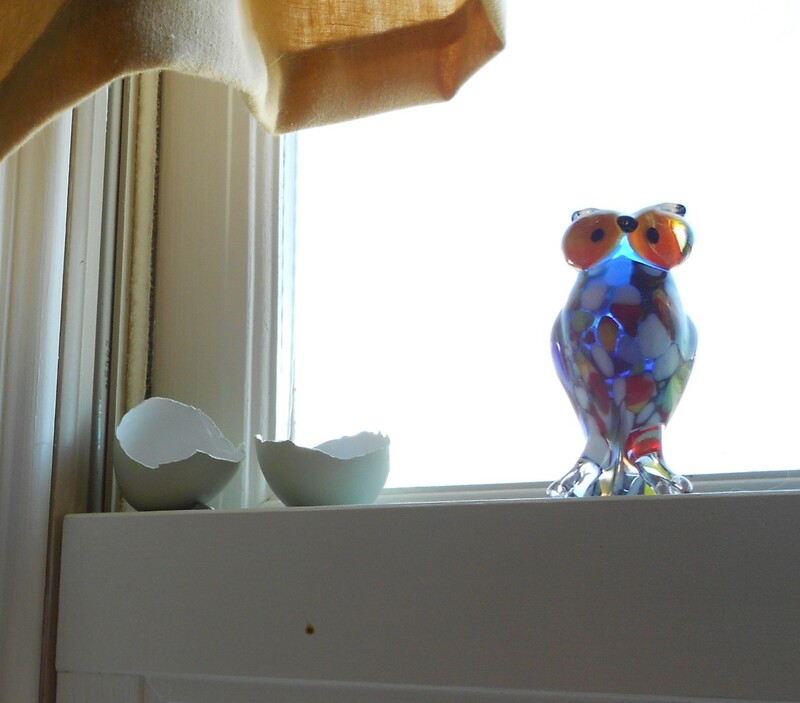 We saved the little shell of our historic first egg and put it on the kitchen windowsill where Mr. Owl guards it with his life. I'm glad I didn't lay that thing! Rosie’s future is safe for now. The other two….